ELBOW LAKE, Minn. (AP) _ A growing number of Minnesota manufacturers are turning to robots amid a shortage of skilled workers. Minnesota Public Radio News (http://bit.ly/1Ob8PCN ) reports small companies are following the lead of larger manufacturers. Bob Kill, president and CEO of consulting firm Enterprise Minnesota, said a dwindling workforce is behind the increase in use of robots. In a survey done last year by the Enterprise Minnesota, 67 percent of companies said they had trouble filling open jobs. “The market is forcing companies of all sizes to automate where they can and we’re going to continue to see automation of all kinds of types continue to grow,” Kill said. Robert Grove, who owns a small machine shop in Elbow Lake, invested nearly $250,000 in a robot a few months ago, saying it’s “almost impossible” to find skilled machine operators in the small city. The robot has boosted output, Grove said, while also allowing workers to focus on using their skills. He’s thinking about buying another one, and said his company can’t survive without automation. 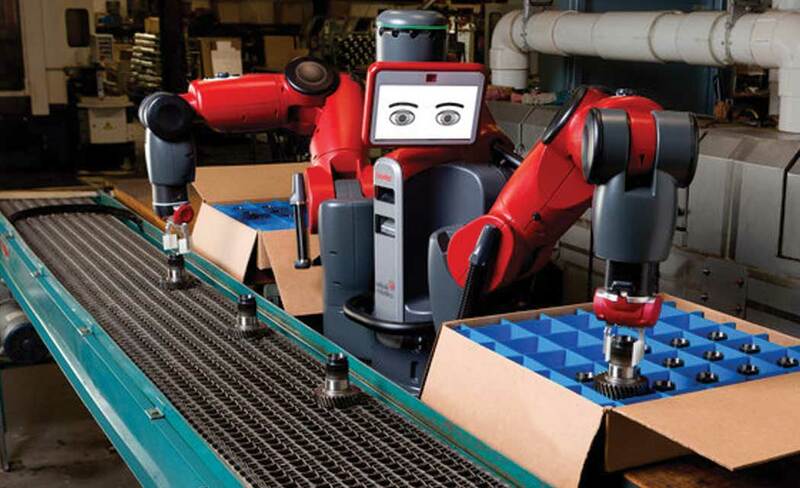 Alexandria Industries has used robots for more than a decade. The aluminum parts maker based in Alexandria has nine robots and two more on order, said engineer Todd Carlson, and they’re helping the company get through a tough labor market. The robots haven’t replaced workers at the Alexandria manufacturer, Carlson said, and it’s made employees happier to not do repetitive tasks.